Make your way out to the Two Borthers Brewing Company's Roundhouse in Aurora (it's located right by a Metra station) for the brewery's annual Oktoberfest. 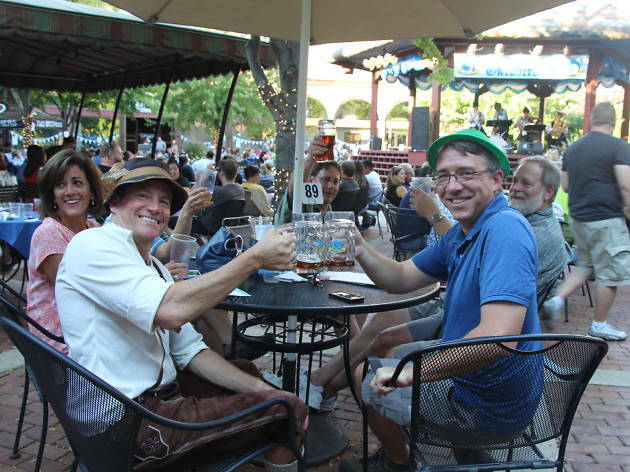 This year's event is filled with activities and entertainment, including stein-holding contests, music from oompah band the Happy Wanderers and a beer choir. You can also sample some of authentic German food while you sip Two Brothers' Oktoberfest-style lager, Atom Smasher.